Fiat Chrysler Automobiles plans to spend 9 billion euros ($10.5 billion) or 20 percent of its total budget for capital expenditures through 2022 to develop electrified vehicles to comply with emissions standards. Its product mix and strategy will vary from market to market, FCA executives said Friday when it presented its new, five-year business plan. Most of the electric-vehicle powertrains will appear in dealerships in 2020, including Jeep, Maserati and an electric Fiat 500 minicar. More than 30 nameplates will use one or more EV systems by 2022. FCA's emissions strategy is based on a mix of smaller turbo engines, mild hybrids, hybrids, plug-in hybrids and full-electric vehicles. The company has five electric-motor applications. It will offer electrified versions across its entire Alfa Romeo, Maserati and Jeep lineups. Marchionne pointed to the Chrysler Pacifica plug-in minivan as a “benchmark” to show how FCA can deliver electric powertrains. Looking across the regions, Marchionne said that in Europe the Middle East and Africa, EU legislation means “that the introduction of multiple levels of electrification will be mandatory” to meet emissions targets. Therefore, by 2022, 40 percent of FCA’s powertrains for Europe, the Middle East and Africa are forecast to be nonelectrified, 40 percent mild hybrid and 20 percent high-voltage electrification, said Mark Chernoby, the automaker’s chief technical officer. Electrification will replace decreasing demand for diesel. Governments need to develop charging stations, Chernoby said. He did not provide specific numerical emissions targets for regions or models. Marchionne said FCA plans to eliminate diesel from Europe, the Middle East and Africa by 2021. A fully electrified Fiat 500 and an electrically powered Panda minicar will be central to the company’s European model strategy. “Our plan is to focus the Fiat brand on products that are able to cover the cost of the new electrified technologies,” Marchionne said.. Hybrid and high-voltage EVs in the U.S. will account for 35 percent of FCA group vehicles sold in 2022, Chernoby said. 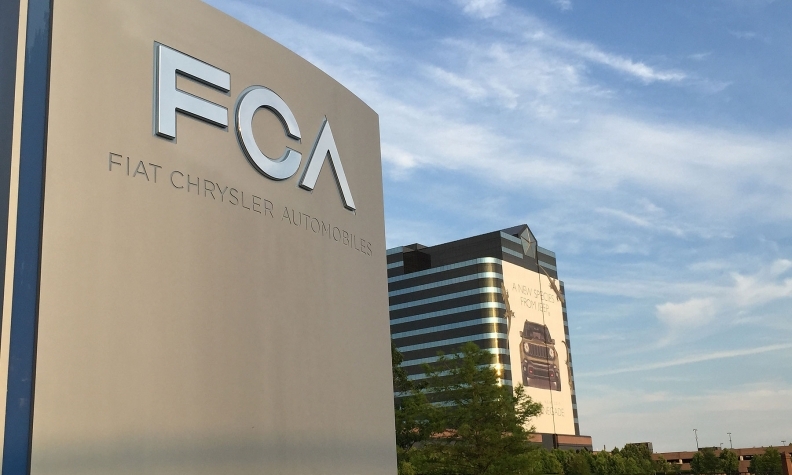 FCA sees China nonelectrified powertrains accounting for 65 percent of its total sales, mild hybrids 20 percent and high-voltage batteries 15 percent. Consumers are more willing to experiment there. FCA will develop EV products in China that can be transferred to other markets. In Brazil, Marchionne said, electrification will be unnecessary for compliance because the bulk of the powertrains there will remain ethanol. Chief Finance Officer Richard Palmer said FCA expects to recover an average of 60 percent of the increased vehicle price stemming from EV technology.